Lok'nStore has self storage centres in many other locations, the closest being in Horsham. Located just 2 miles and 5 minutes from Gatwick Airport this store - which is on the former Royal Mail site - is easily accessible from all directions via the A23, A264 and from the M23. From the M23: Leaving at junction 10, take the A264 exit to Crawley / East Grinstead. At the roundabout, take the 3rd exit onto Crawley Ave / A2011. From the roundabout, take the 4th exit onto Gatwick Rd. 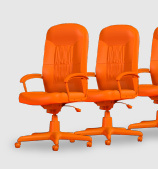 At the roundabout, take the 2nd exit and stay on Gatwick Road until you see the big orange building – which is us! Richie Wicks has been with us since October 2011 as manager at our Tonbridge facility. When Richie’s not selling storage space and meeting and greeting customers he’s an accomplished musician and vocal coach with several releases under his belt available on Amazon and Play.com, and in most good record stores (was that a free plug Richie?). Call today or book online. Office space with no long term contracts, rates or utility bills. 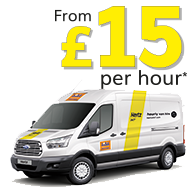 Flexible van hire available through our partners at Hertz available at this Lok'nStore. Lowest price guarantee. Got a storage quote? We will beat it for you. Free helpful storage advice from our friendly, expert staff. Call us today. Self Storage at Lok'nStore from just 1 week, or for as long as you want. Secure, locked storage rooms for your goods. Only you have a key. 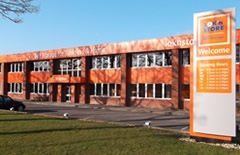 Lok'nStore currently operates self storage centres in the following locations: Aldershot, Ashford, Basingstoke, Bristol, Broadstairs, Cardiff, Chichester, Crawley,Crayford, Dover, Eastbourne, Exeter, Fareham, Farnborough, Gillingham, Harlow, Hedge End, Hemel Hempstead, Horsham, Luton, Maidenhead, Milton Keynes,Northampton Central, Northampton Riverside, Poole, Portsmouth, Reading, Southampton, Sunbury, Swindon, Tonbridge, Wellingborough and Woking. New stores opening soon in Ipswich, Gloucester, Bournemouth, Leicester, Bedford and Cheshunt.